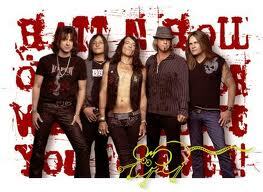 Dokken are an American glam metal band formed in 1978 in Los Angeles, California. The original members of Dokken are: Don Dokken (vocals), George Lynch (lead guitar), Juan Crocier (bass guitar), Mick Brown (drums). The singles/songs that are best known by Dokken are “Just Got Lucky”, “Into the Fire”, “In My Dreams”, and “Its Not Love.” The best known albums by Dokken are: Breaking the Chains (1981), Tooth and Nail (1984), Under Lock and Key (1985), and Back for the Attack (1987). 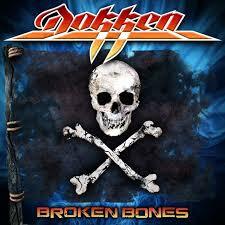 According to Blabbermouth.net, Frontiers Records signed a recording contract with Dokken for their most recent studio album, which was recorded in 2012, Breaking Bones. In the beginning Don Dokken had a band playing gigs in the L.A. area (around 1976) with the name “Airborn” but name change ensued after it was discovered there was already a band with that name recording. In 1981, Don Dokken flew to Germany to sing background vocals for Scorpions vocalist Klaus Meine who was having vocal issues. 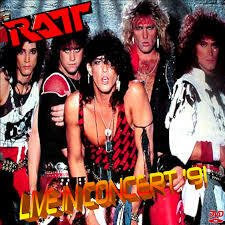 [For this and more band history, see Wikipedia.] While in Germany, Don Dokken secured a recording contract with Carrere Records, releasing an initial version of Breaking the Chains under the name Don Dokken. The band Dokken toured with Blue Oyster Cult in 1983 and also Scorpions in 1986. 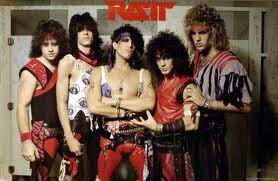 Juan Crocier left Dokken in 1983 to join RATT and was replaced by Jeff Pilson. 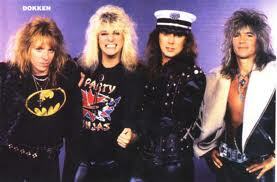 Dokken also opened for these major headliners: Judas Priest, AC/DC, Aerosmith, and Dio. Dokken finally got several “big breaks” on two occasions: recording “Dream Warriors” for Nightmare on Elm Street 3, as well as the Monsters of Rock tour in 1988 with Van Halen, Scorpions and Metallica.